Many baby boomers already know a thing or two about marriage and are choosing not to tie the knot on their relationships -- often because of money. Financial advisers say concerns about debt, benefits, taxes and cash flow are often the primary reasons they decide not to walk down the aisle. %VIRTUAL-article-sponsoredlinks%"The biggest considerations couples have in deciding whether or not to remarry usually center around their children and assets," says Molly McCormack, a director of individual advisory services at TIAA-CREF. A partner may also be helping out adult children financially -- by paying off student loans or co-signing on a mortgage -- and the new partner doesn't want to take on that financial burden. In addition to mortgage, student loan and credit card debt, long-term care and medical debt are frequent concerns. Under the law in "community property" states -- Arizona, California, Idaho, Louisiana, Nevada, New Mexico, Texas, Washington, and Wisconsin -- most debts incurred by one spouse during the marriage are owed by both spouses. But when two people live together, money matters can be murky. Financial advisers say it is important to make expectations clear. Be specific with one another about expenses and who will pay for what. Determine what is yours, mine and ours. Make sure assets are properly titled, including the home you live in and other property and/or small businesses. Have a will, health care proxy, and power of attorney for finances. 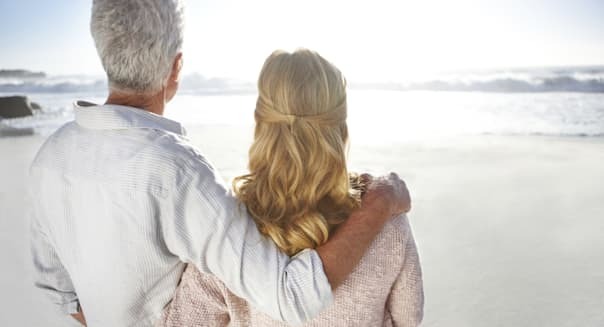 If you want your partner to have certain assets or to have control over your medical care or finances, if you are unable to do so, you must have in writing in the proper legal documents. "Make sure you communicate your wishes in your estate plan with your children, too," says New York-based financial adviser Stacy Francis. "Avoid any surprises." Your credit score can affect your ability to start a family, buy a house or replace a car. Once you've married, your partner's credit score can be your problem, too, and it's not one you want to find out about after you file a loan application. Hint: It's a bad sign if your intended can't or won't answer this question. Most of us consider this to be a closely guarded secret, but you can't hide it from your soon-to-be spouse for long. Nor should you. As you plan a life together, you need to know that both of you have realistic hopes and expectations about the lifestyle you'll enjoy. You should know whether the person you're about to marry is living paycheck-to-paycheck. Many young people just starting out haven't banked much, and can't. But together you can work out a plan to establish an emergency fund covering three to six months of expenses. A truly embarrassing question, but one that must be asked. Marrying someone makes their debt yours, too. And a substantial debt can wreck the lifestyle you want together. There is a worst-case scenario here: If the person you're planning to marry is skipping out on obligations like a student loan, credit card payments or child support, you might rethink your choice of partner. If your loved one just has poor spending habits, work it out together now. As a couple, you need to decide whether you will keep your money in separate or joint bank accounts. Kadish notes that many couples opt for both, with a joint account for family expenses and separate personal accounts to cover day-to-day spending. Agreeing in advance on their use prevents squabbles later, not to mention the potential for bounced checks. Talk about whether the health coverage each of you has is adequate to your needs as a couple. You may find that your partner's policy is better than yours, and that you can opt into it. You or your spouse may have other job benefits that affect your joint planning. If, for example, one of you is eligible for a pension, that's a factor in your retirement planning. In any case, there's paperwork to be done, like adding your spouse's name as a beneficiary. As a couple, you need to hash out your expectations for day-to-day life, and month-to-month spending. Will you eat out often? Is an annual vacation necessary to your well-being? Would you rather sit on the floor than buy furniture on credit? You need to understand each other's priorities. And if you're wise, you'll craft a spending plan that formalizes those priorities, so you're not spending carelessly. Your retirement benefits are an asset that each of you brings to the marriage. You need to know what each of you is contributing now, and make changes if necessary. If, for example, your partner has a better 401(k) matching plan, it could affect your joint savings decisions. You're getting ready to share the rest of your life with another person. Make sure you share dreams and aspirations as well. The colorless phrase "financial goals" covers a host of expectations for your life ahead. But you can't reach those goals without a plan -- so start crafting it now.